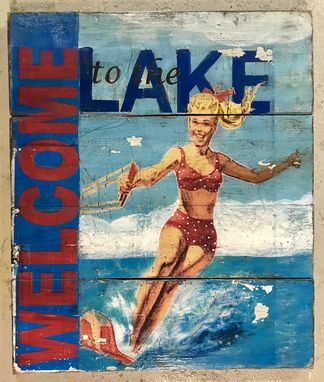 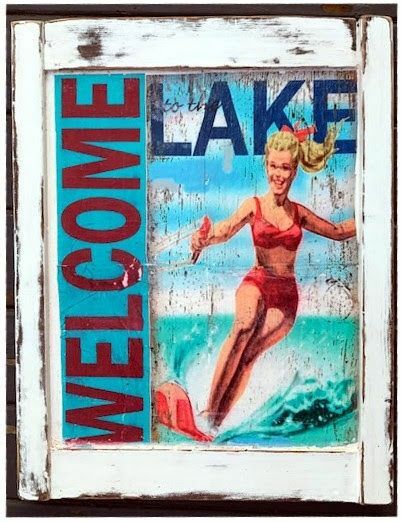 This vintage water skier graphic welcomes your friends and family to the lake or just adds color to your home decor.It has a clear finish that you can hang outside on your deck or dock as well as inside at your lake house or home. 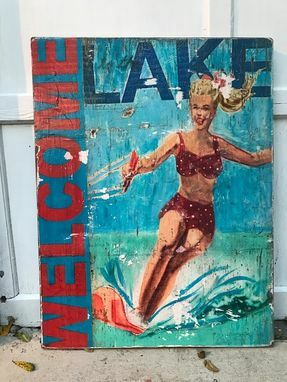 It measures approximately 30 inches tall x 24 inches wide. It would be made to order so size and wood can vary slightly.due to availability of vintage wood.